The new facility was implemented from December 1, 2017. Railway Ticket Booking: The BHIM app is easy to use and supports payment through multiple banks. For the convenience of passengers and promoting digital payments while booking train tickets, Railways has introduced a new payment facility at railway counters. Railways has extended the facility to pay for train tickets through UPI/BHIM to railway counters for booking train tickets. Indian Railways carries over 2 crore passengers per day. 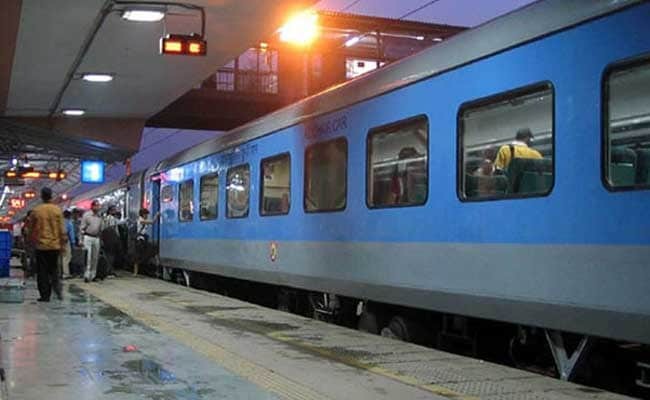 Customers booking tickets online through IRCTC, the online ticketing arm of Indian Railways, had earlier access to UPI/BHIM facility for paying for e-tickets. Bharat Interface for Money or BHIM app is developed by the National Payments Corporation of India (NPCI), based on the Unified Payment Interface (UPI). The BHIM app is inter-operable with other Unified Payment Interface (UPI) applications and bank accounts. In less than a year, the number of daily transactions through BHIM app has reached 2.8 lakh. The facility to book train tickets at railway counters via the BHIM app was implemented from December 1, 2017. The Railways said this facility will be available for booking of reserved tickets from Passenger Reservation System (PRS) counters and season tickets (monthly/quarterly) from Unreserved Ticketing System (UTS) counters. There would be no transaction charges for a period of three months from passengers for the new train ticket booking facility. Passengers will be able to receive information on the fare to be paid at the railway counters by sharing their travel details. If a customer opts to pay through UPI/BHIM, the counter person will select UPI as payment option and request for passenger's Virtual Payment Address (VPA). The railway counter person will enter the Virtual Payment Address (VPA) to initiate the transaction in the terminal. The passenger will receive a payment request on the mobile to confirm payment. The passenger will be required to accept the payment request and the passenger's linked account will be debited the fare amount. Once the transaction is successful and verified on the system, the counter person will print the ticket and hand it to the passenger. Besides promoting the government's initiative of increasing digital/cashless transaction, the new payment mechanism at railway counters will offer additional payment option to customers availing railway services. There is no need to share bank account or credit/debit card number. The BHIM app is easy to use and supports payment through multiple banks on a real time basis.